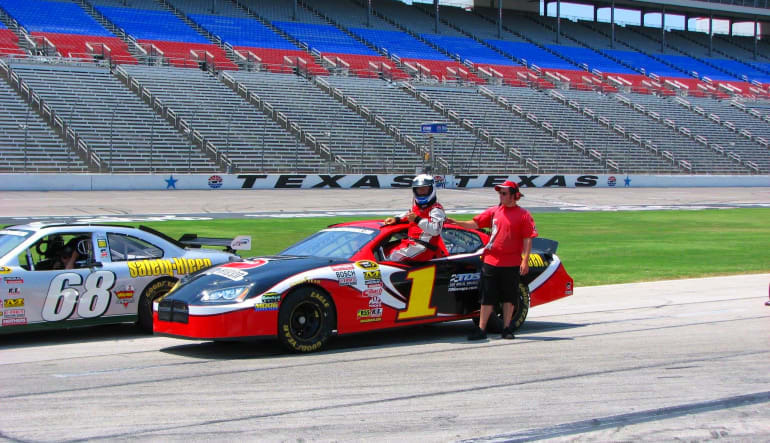 5 minute time trial behind the wheel of a race ready NASCAR at Texas Motor Speedway. 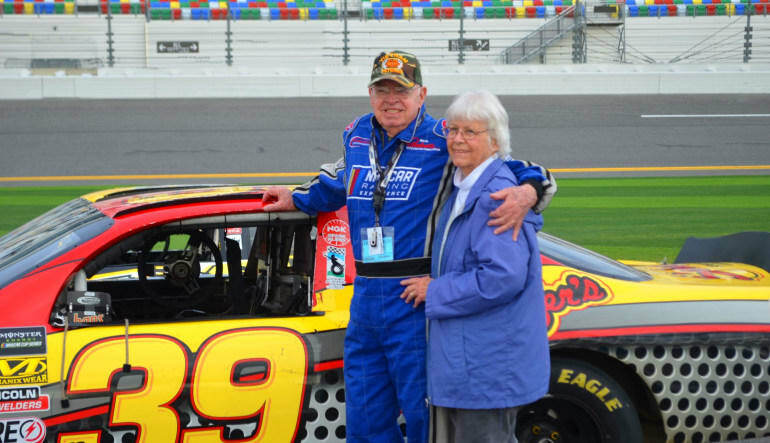 Test your driving skills and experience speeds up to 150 mph. 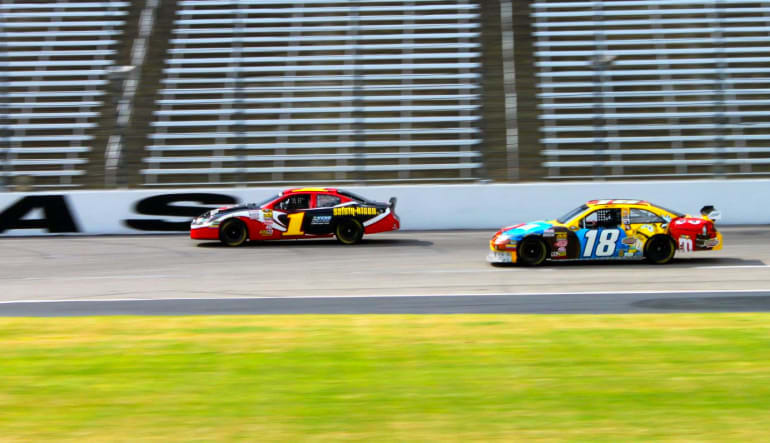 Nothing pulls your face back like the forces of a NASCAR, and nothing tests your skills better than a NASCAR time trial around the challenging Texas Motor Speedway. This challenging 1.5 mile, 24.00 degree banking oval track will force you to test the absolute limits of your driving skills. 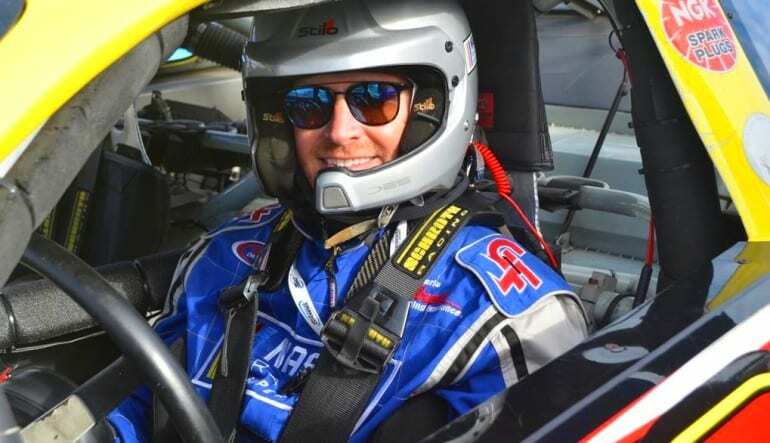 You will be driving on the same track Burton and Earnhardt Jr. received their first Cup win on. The Texas Motor Speedway NASCAR drive day begins with a briefing conducted by experienced race drivers. your pro will demonstrate techniques on cornering, efficient braking and acceleration, steering, gear changes and general car control. Safety and track awareness will also be discussed. Everyone there that day were so very nice and helpful!! Especially the classroom instructor, Clint Walker!! Arrived, was a little nervus, left smiling and very happy. The staff was so helpful. I had a great time and have already recommended this to others.